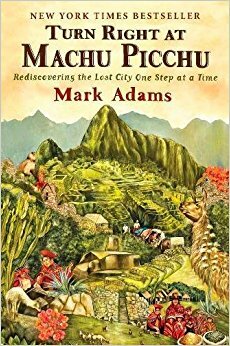 I am planning a time travel story set at Machu Picchu and wanted to do some preliminary research about the site and its history. Searching on the library website turned up this book and so I gave it a listen. During the reading of it I happened to listen to the Judge John Hodgman podcast and he just happened to mention this book which is apropos of nothing but I thought it was an odd coincidence. The book failed to capture my imagination and fell flat as both a descriptive book and a historical one. I wanted to know more about the Incas and their reasons and purpose behind Machu Picchu and I wanted a feel for what the surrounding area looked and felt like. The author spent more time describing his adventures with diahrrea and its aftermath than he did the sights, sounds, and smells of the area. Once he finally got to Machu Picchu it felt really anti-climactic and I wasn't even sure that he was actually there. Then, he was suddenly home in New York. I confess I got a little whiplash there. It's an entertaining enough book and the writer seems like a good guy but I didn't care for the focus on Bingham and the lack of description. I wanted to be transported and I wasn't.